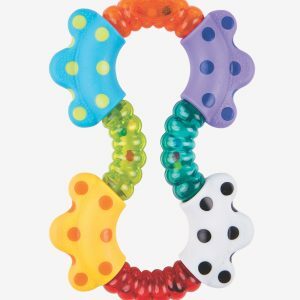 This chewy teething ring is perfect for teething babies. 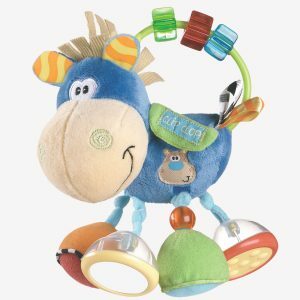 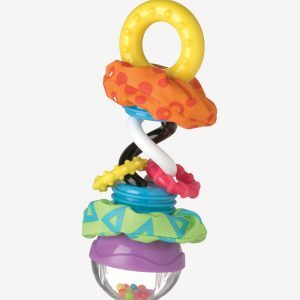 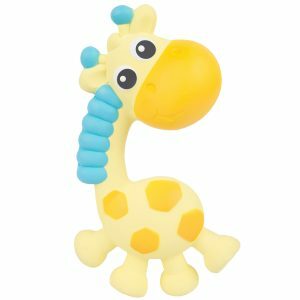 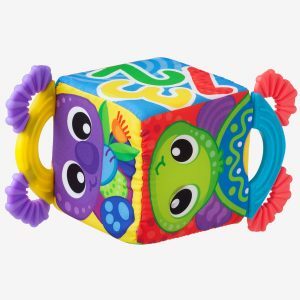 With its bright and vibrant colours, the Jungle Friends Teething Ring also helps stimulate baby’s visual perception. 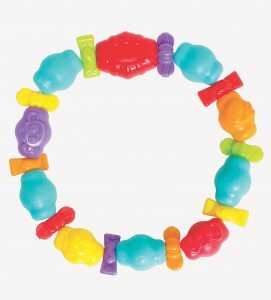 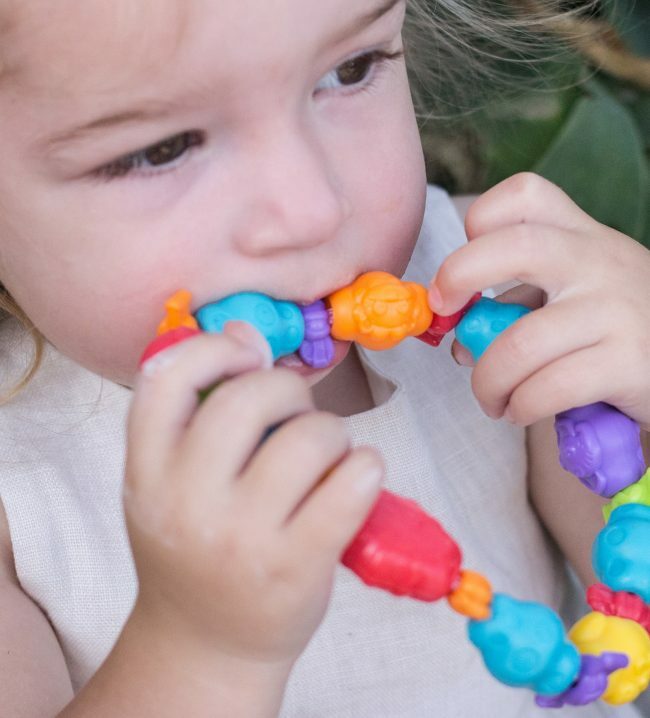 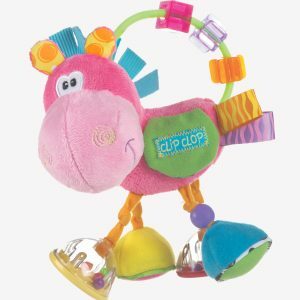 The soft, textured teething beads gently massage baby’s sore gums while they chew. 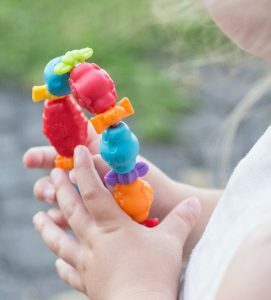 This cute teething ring is perfect for baby’s little hands and fingers.